Ubuntu Linux is miming Windows 10's approach to updating graphics drivers--but keeping it fully optional. Gaming’s not all about rocking the biggest, beefiest graphics card. 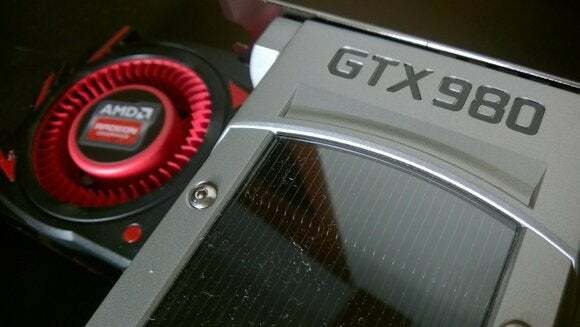 Serious PC gamers know it’s important to have the latest graphics drivers from Nvidia or AMD , which can dramatically improve performance with newer games. That holds true on Linux, too—but it hasn’t been as easy to install the latest graphics drivers on Linux as it is on Windows-based systems. Ubuntu is fixing the problem. 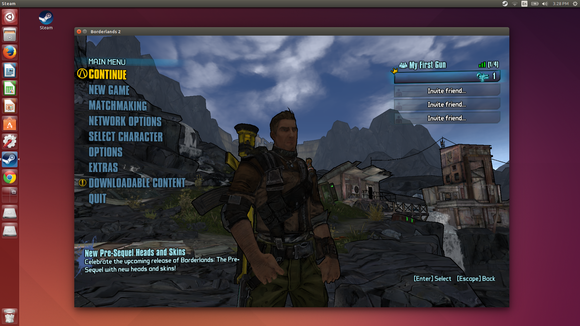 Borderlands 2 running on Ubuntu Linux. Canonical employee Jorge Castro recently tried playing the Linux version of Middle-earth: Shadow of Mordor on his Ubuntu PC. This game needs the latest Nvidia drivers for best performance, and getting the latest versions of those drivers wasn’t as easy as it should be. He noted that more and more games are being released for Linux and there’s an increasing demand for the latest graphics drivers. He also noted that Windows 10 is now distributing the latest Nvidia drivers via Windows Update. “That means they can deliver a kickass experience with almost no effort from the user. Until we can convince Nvidia to do the same with Ubuntu we’re going to have to pick up the slack,” he wrote in an email to the Ubuntu Desktop mailing list. To that end, Ubuntu is now creating a more official personal package archive (PPA) that will contain the latest graphics drivers. Unlike the third-party ones currently available, this will be officially “blessed” by the Ubuntu project and be maintained by a select group of experienced community members. The Additional Drivers pane in the Software & Updates window will receive an easy option that will enable this PPA and activate the latest graphics drivers. Both stable releases of the latest graphics drivers and automated builds of the experimental drivers will be available. After flicking the switch, your Ubuntu PC would continue getting the latest graphics drivers as they’re released and packaged up. Edwin Smith, production head at Feral Interactive, which ported Middle-earth: Shadow of Mordor to Linux, welcomed the news, as this new PPA would let Linux game developers help their users upgrade to the latest drivers in an easy, supported way. Linux users who don’t play PC games won’t benefit from the latest drivers, so there’s no reason to roll them out to everyone and risk potential instability. Having them separate also ensures there’s an easy way to roll back to the known-good, completely stable drivers that have received more testing if they ever break. Work has already begun, and there’s a Proprietary GPU Drivers PPA available on Launchpad. It currently only contains the latest versions of the Nvidia drivers and is considered “in testing.” The latest AMD graphics drivers will likely be added to here in the future, too. 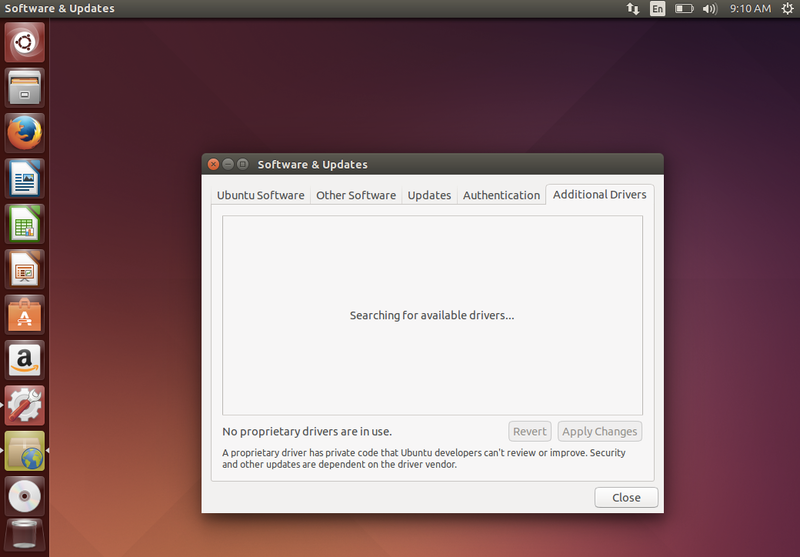 If you want to help, the Ubuntu Graphics Drivers Team would like you to install the drivers and see how well they work. Don’t be surprised if you run into issues at the moment—that’s why it’s in testing, after all.